We invite you to come in and play games at your own leisure. Grab a coffee or order a beer, choose a game from the shelf, and play as much as you want. With more than 200 games, chances are we have your favorites… plus a few more! We have plenty of classics, like Monopoly, Sorry, and Connect Four. And for those feeling adventurous, we’ll guide you through new board game territory! Assume the role of a settler, build and develop holdings, and acquire resources. Find out if you have the right strategy to earn the most points and win. As the game progresses, you and your fellow players will actually build the board — a medieval landscape. 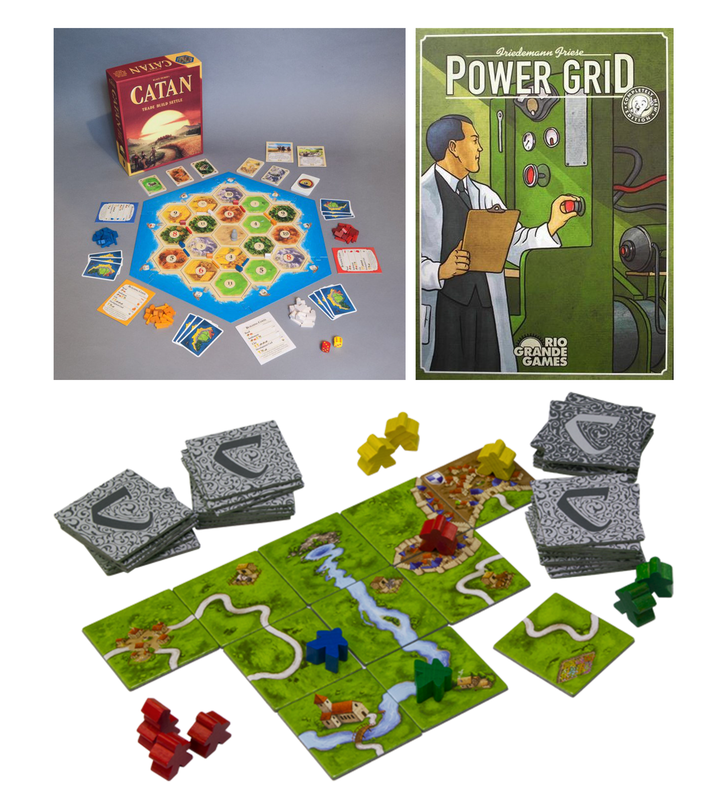 Bid on power plants, buy resources, and see which player can provide electricity to the most cities. Don’t worry! We have tons of other games. Take a look!